End of May 1996 we have visited NYC. We are taking a lot of photos and videos from the town, the WTC and the helicopter flight. 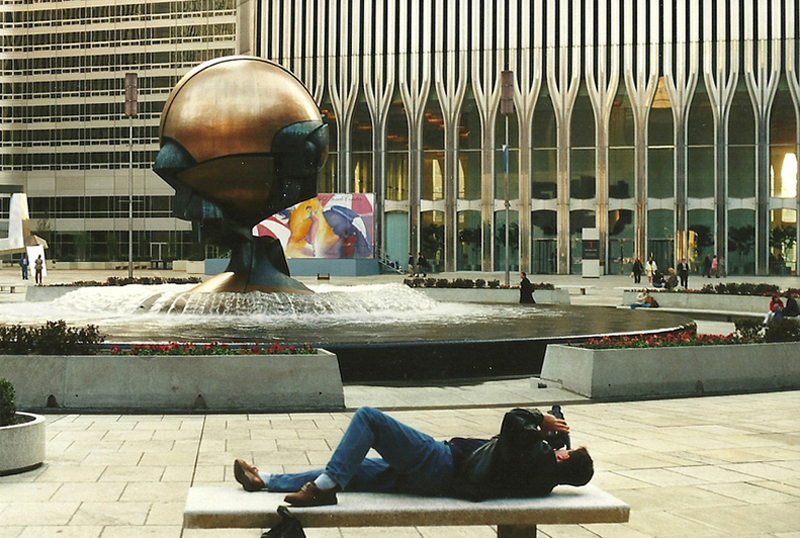 On the picture (taken by my wife) I lay on a bench in front of the WTC.